Willa Cather came to Grand Manan most summers from the 1920s to late 1930s. 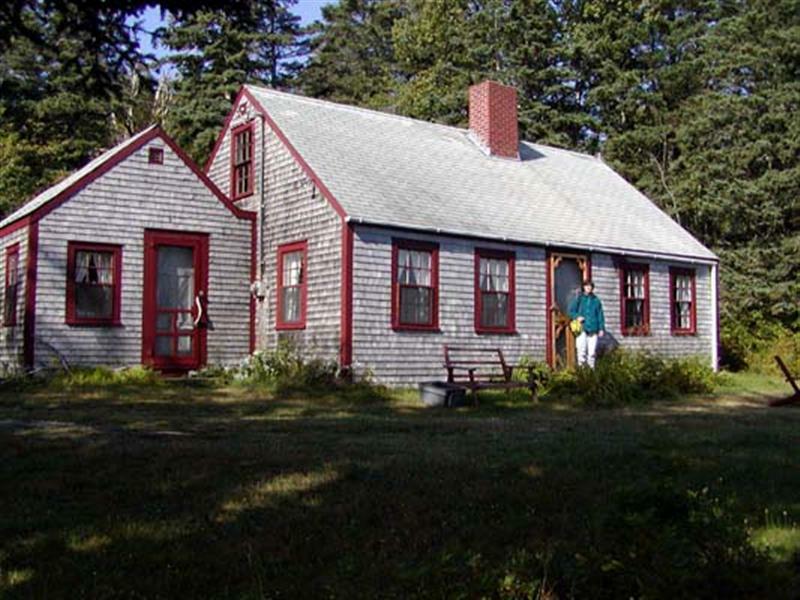 After a few seasons in one of the Whale Cove Cottages (still in business and little changed since those years), she had her own cape-cod-style cottage constructed in the woods not far north of the Whale Cove Inn -- an easy walk for a fine dinner at their restaurant. The cottage was built by Charles Green and Oscar Locke between the fall of 1926 and summer 1927. Mr. Locke often drove Willa and guests to Rose Cottage for dinners, which was an inn at Tatton's Corner. Willa had some relatives as summer visitors, and a few women friends who would come (without their husbands, if they had them) for long vacations at Whale Cove Inn. Willa wrote portions of several books here, which today might not be read by many, except perhaps Death Comes for the Archbishop -- her best, in my opinion, and still a top-100 American novel. In her time she was a highly regarded author, and a winner of the Pulitzer Prize. In the tiny attic of her Grand Manan cottage, Willa used a small writing desk that today is exhibited in the Grand Manan Museum. From what I read, Willa did not have a high opinion of the island people, except perhaps the island doctor. She did not welcome uninvited visitors and could be harsh with anyone who disturbed her work. Most dinners were taken at the Whale Cove Inn, Rose Cottage, or other inns within an easy drive (she hired local men for driving, maintenance, errands, etc.). Good wine and bread were brought to her from Saint John, which was a ferry stop at that time. The island residents tried to respect her privacy but thought her to be more than a little unpleasant. It appears that Willa was very sensitive to gossip about her situation of living with a woman, Edith Lewis (whom Willa called her editorial assistant, which was accurate). In her college years, Willa dressed and acted very masculine and most likely she was homosexual all her life (as you might also guess from some of her writing), which would be a great scandal back then. Nowadays -- who cares? Willa stopped coming to Grand Manan when Canada entered the second world war, as travel and amenities available for tourism became difficult. Also, the death of her favorite island doctor was cited, as Willa had developed cancer that caused her great discomfort, and finally death later in the 1940s. In her will, she left the cottage to her long-time companion Edith Lewis, who did not visit it on her own, so the cottage was essentially abandoned for some time. Local residents tell me it became quite dilapidated, with the door hanging open and kids wandering into it. A local group wanted to restore it into a local museum, but Ms. Lewis would not agree (yet did nothing to maintain it). Eventually, family descendants of Ms. Cather gained possession and a major renovation was made to the cottage. They added new indoor plumbing, wiring, and kitchen appliances. 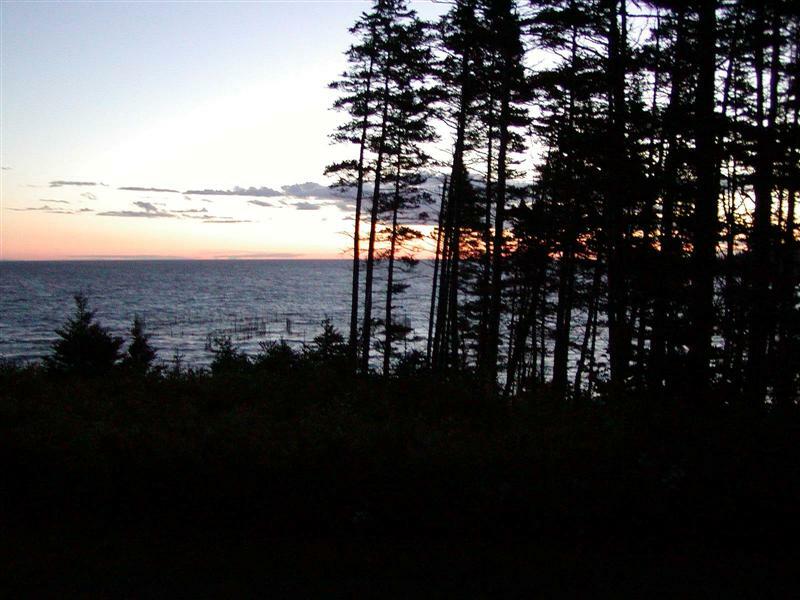 It is still owned and used by the family but is available for weekly summer rent through the manager of the Whale Cove Inn. 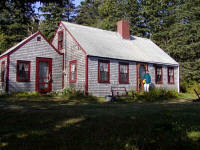 Before buying a house on Grand Manan, Nancy and I rented Willa's Cottage twice. I think preference is given to artists and writers, so we were lucky to get in as plain old geologists. It was fairly inexpensive, at least in comparison to sea-side cottages in New England. 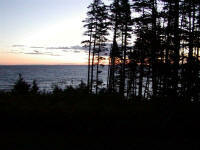 The cottage has a living room, two bedrooms, two bathrooms, and a fully furnished kitchen. Nothing is especially modern or new, in fact it is rather rustic, but the place is comfortable and has a lot of the character preserved from the years when Willa was there. And a wonderful easterly view of the ocean. We left behind a copy or two of Willa Cather's books, and a note in the cottage guest book about how great a place it is to stay. And of course, it is an easy walk to the southern end of Seven Days Work, where some very interesting geological features are on display. This is Willa Cather's cottage as of 2001. The lane to the cottage shows how private it is, yet there is a hiking trail and other cottages nearby. In the back is the original stone wall (a photo of Willa's niece shows it), and somewhere around was the outhouse. The screen door from the later renovation has a carved book. Inside, the furnishings are somewhat rustic, but it has a lot of charm. Probably everything in the photo post-dates Willa's time, except the window placement and flooring. The view to the east is great. That is the Grand Manan V ferry in the distance. Sunsets and sunrises are also very fine. From my kayak off-shore, you can see the low cliffs of Seven Days Work below Willa's cottage on the northwest side of Whale Cove. A great location for a geologist!